Pine Forest offers an impressive array of recreational opportunities reminiscent of its’ historic predecessor. 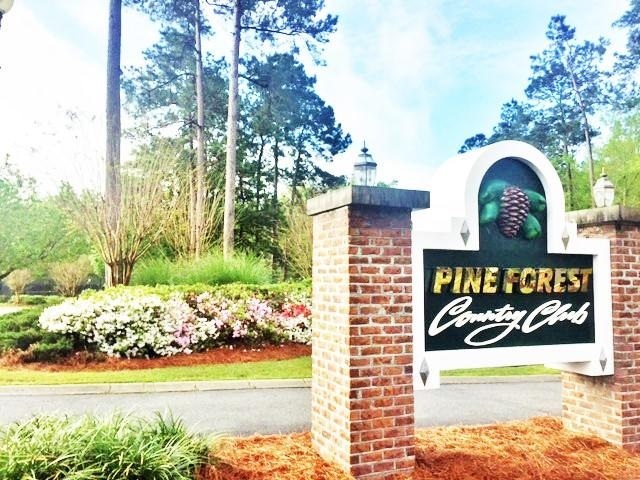 Pine Forest has been called Summerville’s “Most Family Oriented Country Club Community”. Pine Forest offers a quiet, secure neighborhood with easy access to employment centers, schools, churches and shopping. Whether retiring or raising a family, Pine Forest is a perfect choice. The 18-hole golf course was recently rated four stars by Golf Digest placing it in the top 5% of courses in the United States. The course has earned the nickname “the hidden gem”. Five sets of tees are available so that players of all ability levels can enjoy the unique challenges provided by the course. Our PGA golf professionals are also available to help you improve your game through a variety of lessons and clinics. The lighted tennis complex is also considered one of the finest in the region with its’ ten meticulously maintained clay courts, while the junior Olympic size swimming pool allows members and their families to take a refreshing dip to cool down on a hot summer day and enjoy our unique cabana bar.